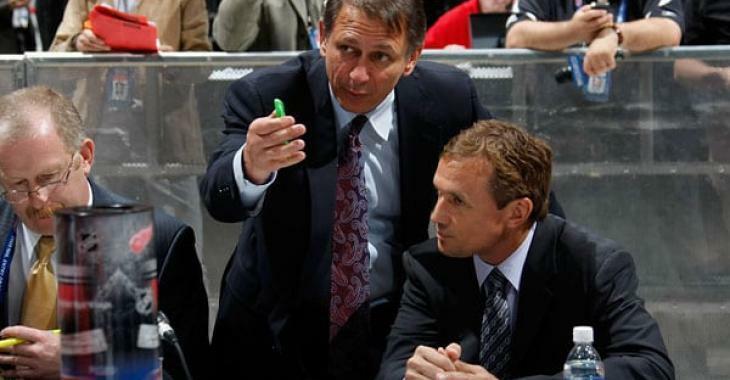 NHL News : Holland already frontrunner for GM job in Seattle! Holland already frontrunner for GM job in Seattle! The National Hockey League will add a franchise in Seattle, it was finally announced Tuesday after a unanimous vote by the board of governors. The NHL’s 32nd franchise will enter the league for the 2021-22 season as a member of the Pacific Division. That will trigger a realignment that will send the Arizona Coyotes to the Central Division. Now, there is a lot of these changes and decisions to be made as Seattle works on their market and extravagant new arena, however, the ownership group will also have to find their general manager. Darren Dreger and Pierre LeBrun commented on the search for the team’s first GM in TSN’s Insider Trading segment on Tuesday night, following the announcement that Seattle was now an NHL city. “It sounds like Seattle is looking for experience, and if you look at potential top candidate Ken Holland, you’ve got a wealth of experience, championship experience with the Detroit Red Wings. He’s under contract this year and next year, and he could be a possibility and if he is a possibility, then he will be a frontrunner,” explained Dreger, before adding that Vegas Golden Knights assistant GM Kelly McCrimmon could also be a top candidate. A whole cast of other current assistant GMs could be put on the list of Seattle’s interest in their search for their first general manager. However, the Red Wings fan base might love to hear that Holland is a frontrunner, knowing that it could mean that Steve Yzerman will take over in two years. Detroit fans have long wanted Yzerman to run the Red Wings, with whom he won three Stanley Cups in his 20 years as captain. They have made that clear on social media and in chat rooms and with this latest rumour that Holland could be the frontrunner in Seattle, you better believe this will intensify on social media in the coming days. The Red Wings, who have missed the playoffs for two straight seasons after a remarkable 25-season run of post-season berths, are in the early stages of a rebuild. They might be more willing to bring in Yzerman and let go of Holland, who could be happy to start a new chapter as the first GM in Seattle.